The Warden’s Stables are part of a group of buildings that made up the service wing of the medieval College. Evidence from dendrochronology (tree ring dating) suggests that the building was begun in 1391 and completed a decade later. 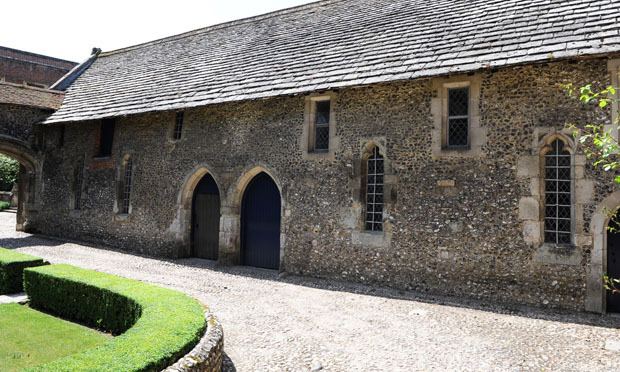 The stables were originally open to the roof: an upper floor, windows and a hayloft were added later. The building was used to stable horses until the early 20th century, when it became a store and games room for the boys living in College. Under the guidance of English Heritage, conversion of this unique Grade I listed building began in the spring of 2015 and took 15 months to complete.